Most people associate taxable income with salaries and wages received but that category is much broader. The IRS also taxes portion of commissions, tips, fees received, stock options, and some types of fringe benefits. An employer will report most of these types of income on a Form W2 but there are situations where taxpayers have to include cash proceeds of which the employer has no knowledge. For example, one is required to report cash income such as tips or childcare services (babysitting). Certain benefits may be presented to an employee in a form of a tangible product or a service without a price tag attached to it. In those circumstances, one should assign a fair market value to those awards and report them on tax return. Many fringe benefits are tax-exempt and some of the most common are: health insurance, employee stock options, or different forms of assistance and awards such as educational, dependent care, achievements, etc. Common benefit such as transportation (transit pass, parking, bicycle commuting, etc) can be excluded from income but there are limits of how much can be excluded. 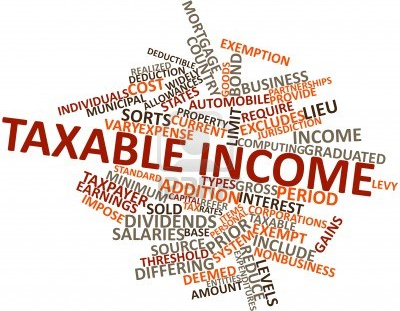 All taxable income has to be reported in the period that it was received and any accounting practices are determined by the issuer of the benefits, the employer in this case. For example, benefits received in December are taxable in that year regardless when you actually deposited or used them.